Previously, under the Sixth Circuit’s decision in Glazer v. Chase Home Financial LLC, Michigan lenders and attorneys who sought non-judicial foreclosures were treated like any other “debt collector” under the FDCPA. This meant that even if the lender or attorney sent an initial communication required by statute, that communication also had to contain the “mini-Miranda” requirements of 15 U.S.C. § 1692g(a). Even more troublesome, because the Sixth Circuit found that seeking a foreclosure was “debt collection,” a debtor who invoked his or her rights under the FDCPA (such as disputing the debt in writing) could effectively slow the foreclosure process, as the FDCPA requires a “debt collector” to cease collection at that time. The Supreme Court recently examined this very scenario in Obduskey v. McCarthy & Holthus LLP. Instead of ceasing collection, the law firm continued the foreclosure process and provided no verification of the debt. The debtor filed suit alleging what would otherwise be obvious FDCPA violations. The Court ruled that the law firm wasn’t a debt collector subject to all FDCPA provisions. The Court held that a firm whose “principal purpose . . . is the enforcement of security interests” is a debt collector only under the limited-purpose definition of the FDCPA, which in turn doesn’t require compliance with most provisions of the FDCPA, including the “mini-Miranda” notices. Obduskey has the effect of overturning Glazer and severely limiting FDCPA application to lenders and attorneys who seek non-judicial foreclosures. Under Obduskey, lenders and their attorneys must meet a very low bar to avoid running afoul of the FDCPA—they must avoid taking or threatening to take action against real property if the lender otherwise has no legal right to do so (such as a situation where a mortgage has been satisfied). Because this conduct would likely be unlawful anyway, the FDCPA no longer provides any real burden to lenders and their attorneys. It remains to be seen how Obduskey will affect communications regarding the enforcement of other security interests, such as construction liens, since communications prior to foreclosure are not required by statute. 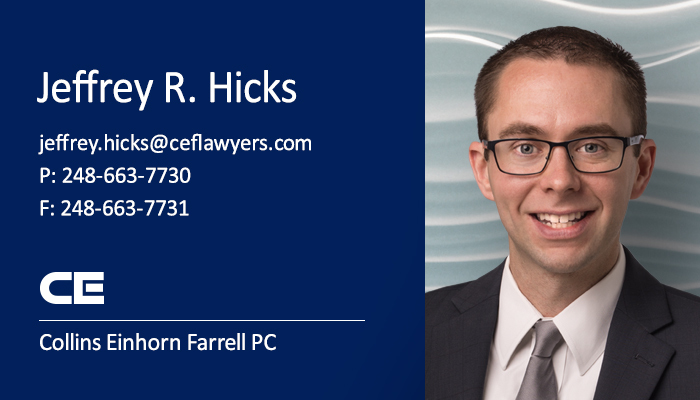 But certainly an argument could be made that if a communication seeks collection prior to enforcement of other security interests (such as initiating a construction-lien foreclosure action), that communication may not be subject to all FDCPA requirements.